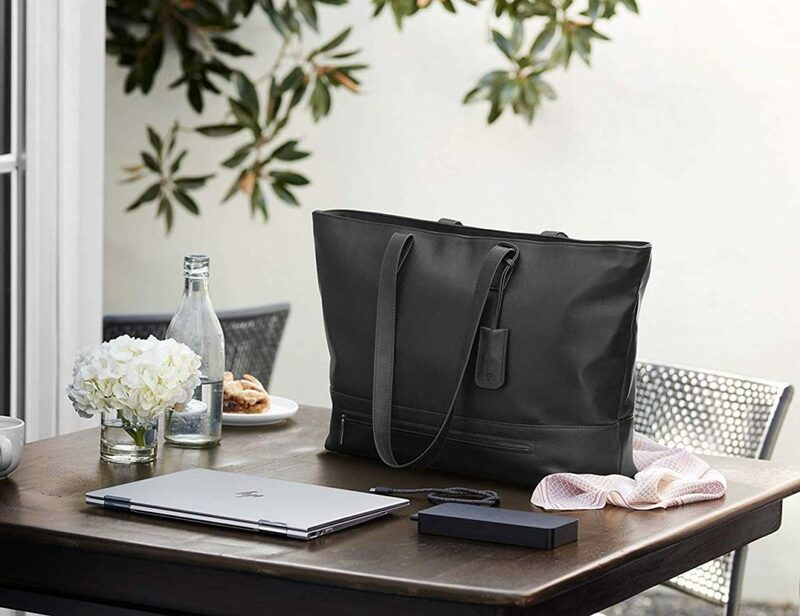 Click here to send a message to the project creator and mention this code GADGETFLOW5 to unlock this deal. 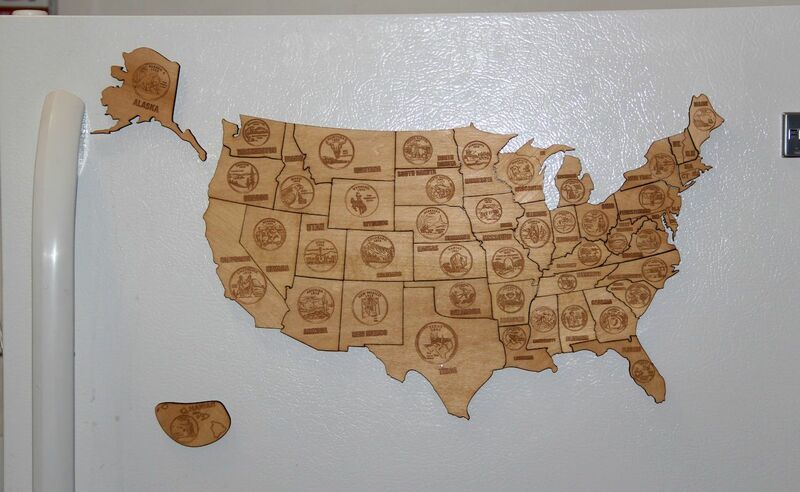 Show off your love for your country with the Magnetic Wood USA Puzzle Map. 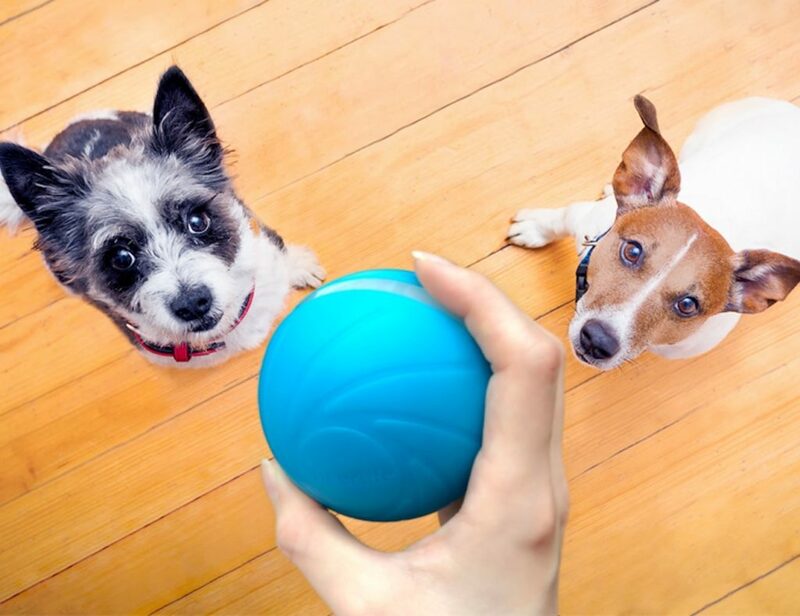 This puzzle features highly detailed outlines of all 50 states. 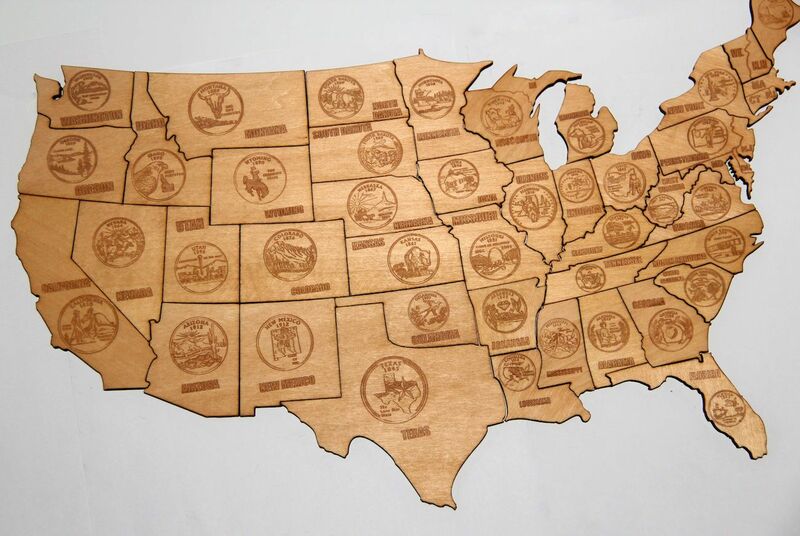 Show off your love for your country with the Magnetic Wood USA Puzzle Map. 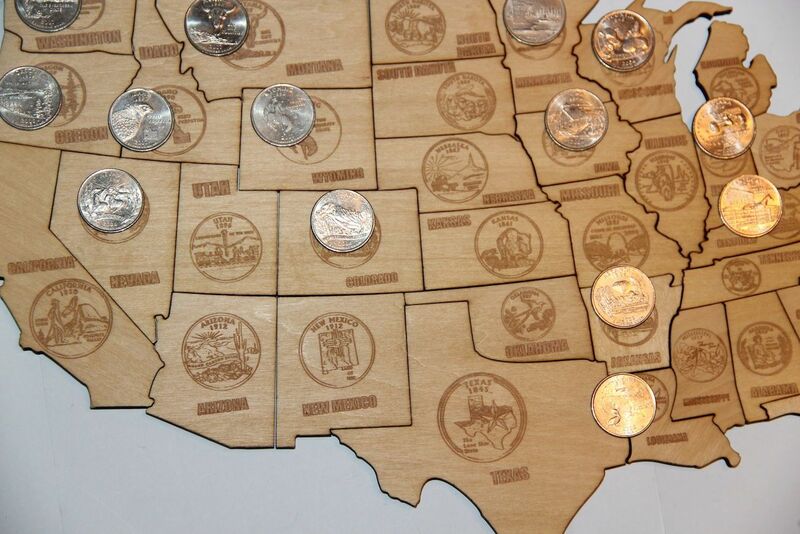 This incredible puzzle features highly detailed outlines of all 50 states. 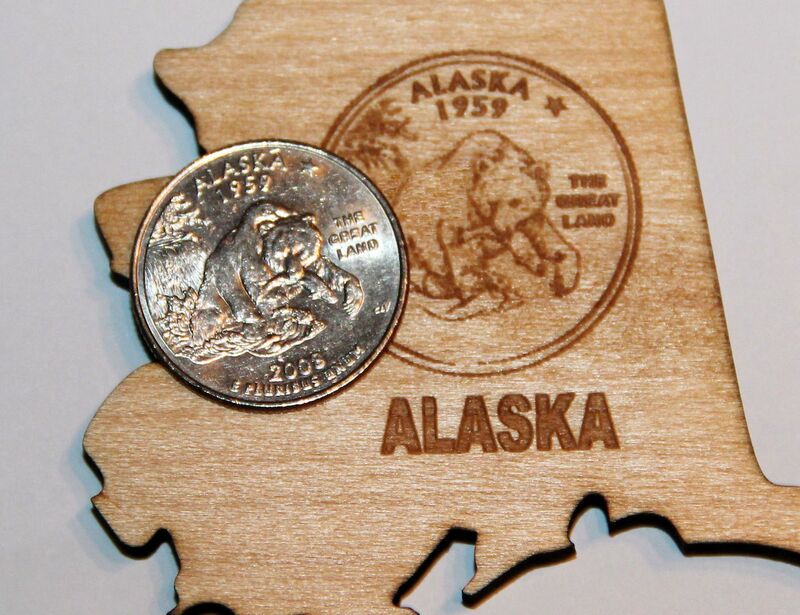 Because it uses a laser to cut the wood, each piece is incredibly precise with its borders. 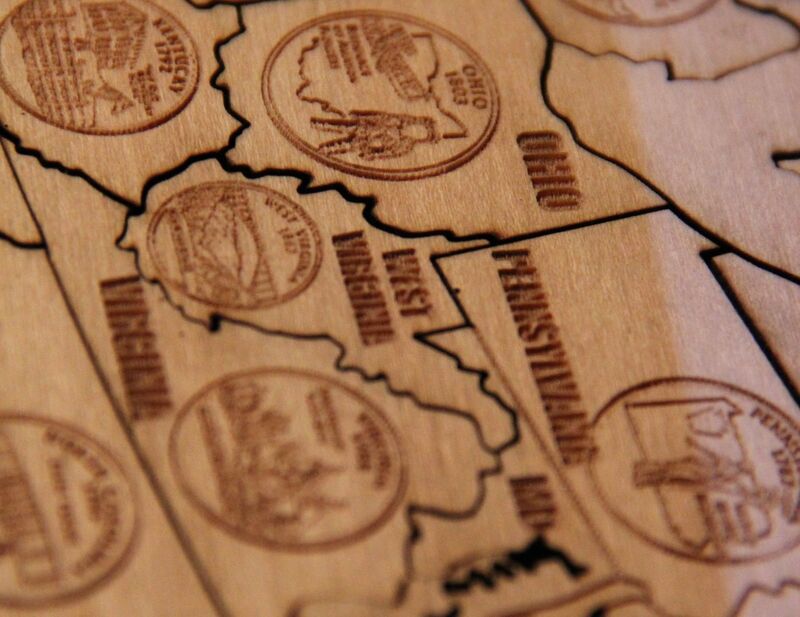 Each of the states in the Puzzle Map also features laser engraved designs of its respective quarter. This adds a beautiful and unique touch to the puzzle. 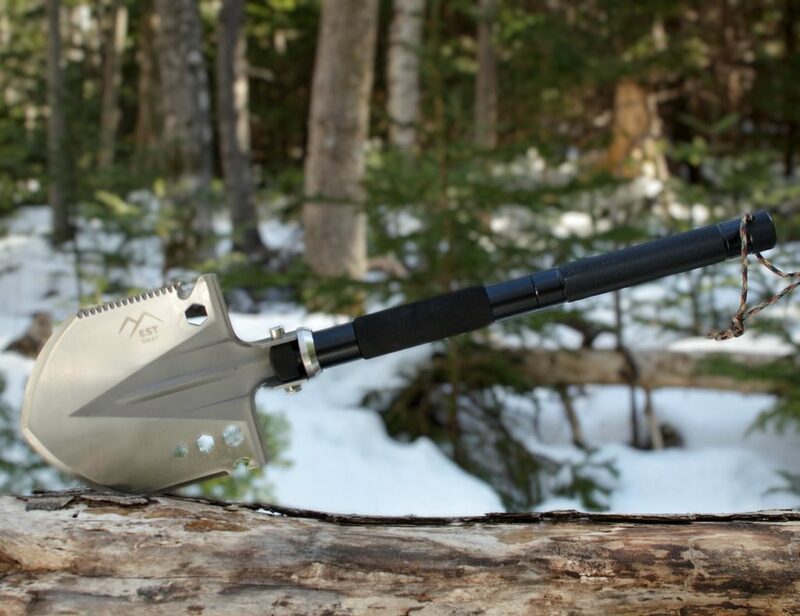 The wood is 3/16-inch basswood and each piece has been chosen for its perfection. In addition to the natural style, the laser cut wood features a wonderful scent to enhance your space even more. 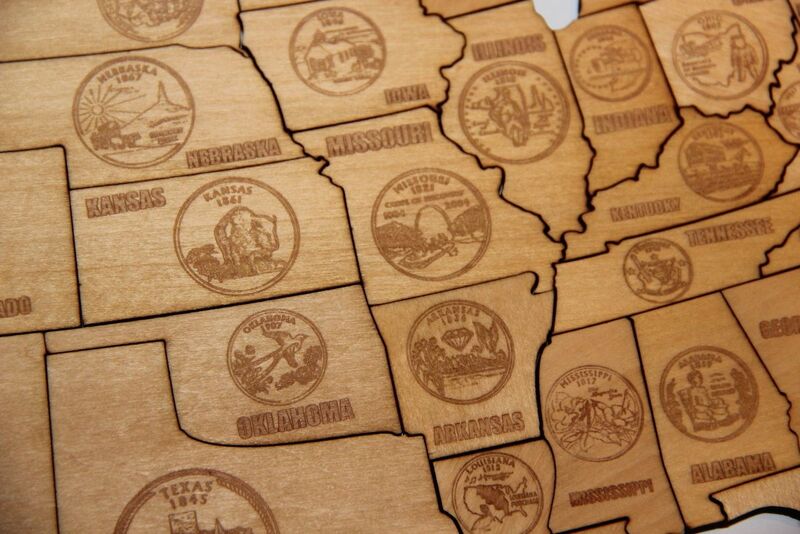 The Puzzle Map is complete with a polyurethane varnish to bring out the grain as well as protect the wood. 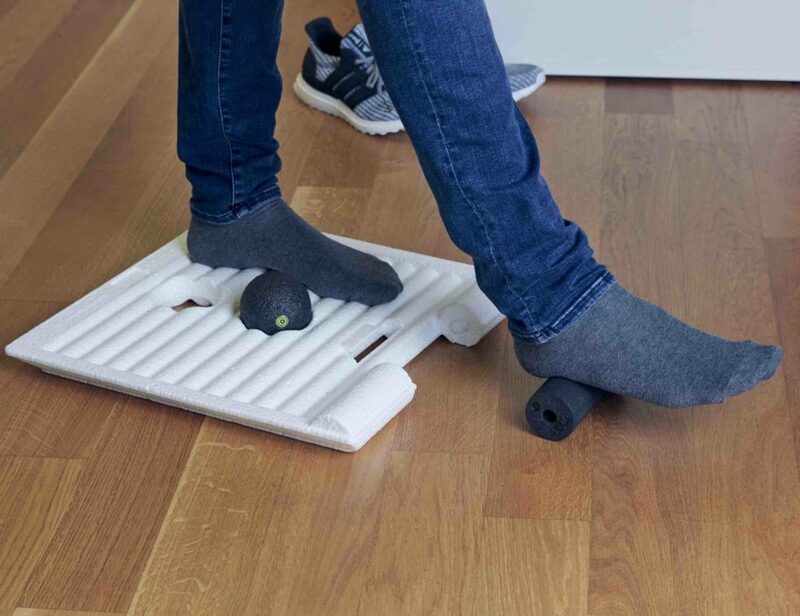 On the back of each state is a strong neodymium magnetic so you can create and recreate the puzzle on any magnetic surface.